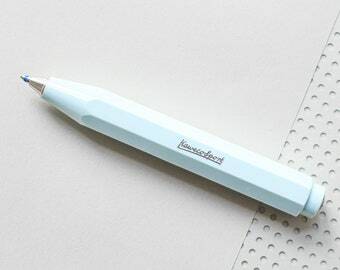 Founded in 1883, Kaweco's success story started more than 130 years ago. Not only their design stood the test of time but their robust construction and their universal acceptance have also contributed to the brand's longevity. 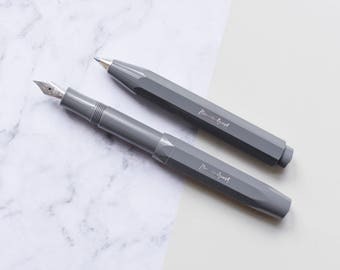 The built-in stainless steel nibs of the fountain pens have an iridium tip. 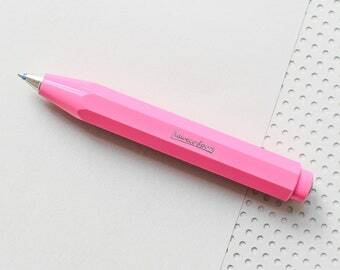 The pens are made in Germany. 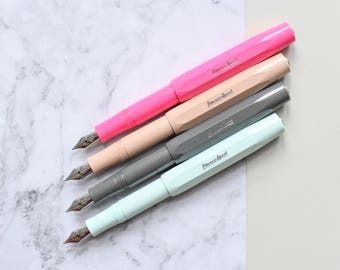 The following colors are available from the Skyline series with silver details: black, white, mint green, Fox (orange), gray, macchiato (beige), pink. 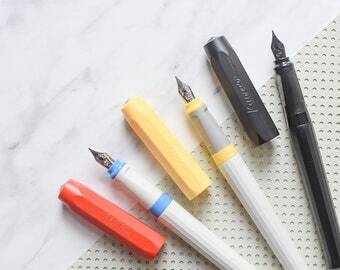 We have been fans of Kaweco forever! The simple yet cool Bauhaus Design in combo with the trendy colors had us at hello. 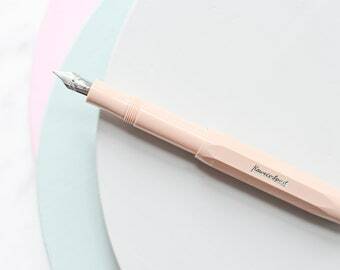 The pens have a handy size and are also perfect as travel companions. 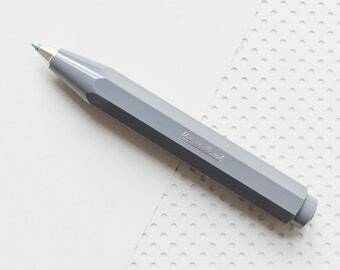 It is used with conventional ink cartridges or Kaweco cartridges available in the shop. 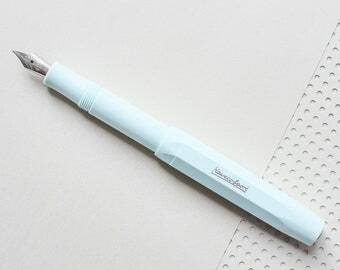 Pen comes with one BLUE Kaweco cartridge. 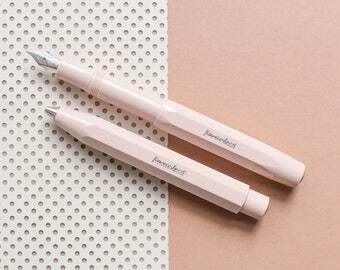 For more ink, you can choose the set with additional Kaweco ink cartridges in two colors. Please note that mixing the colors of additional cartridges is not possible. 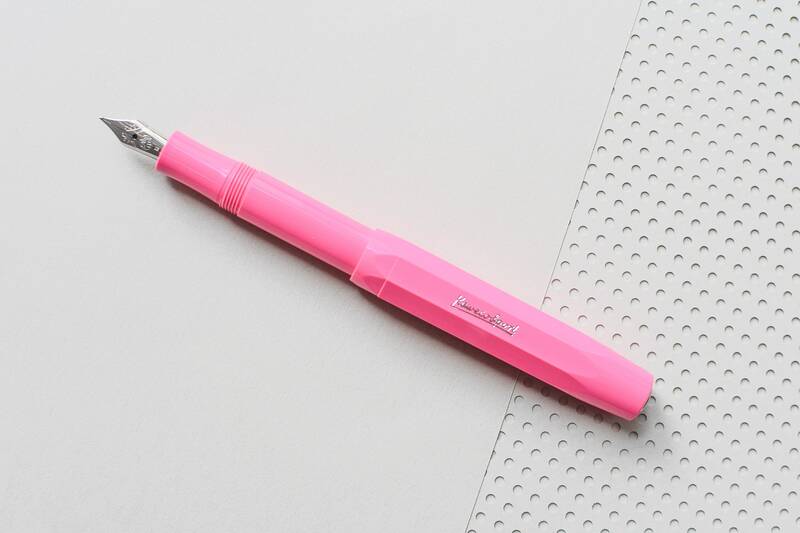 The listing is for one fountain pen. Length: 14 cm / 5.5 "
Length: 11,5 cm / 4.5 "